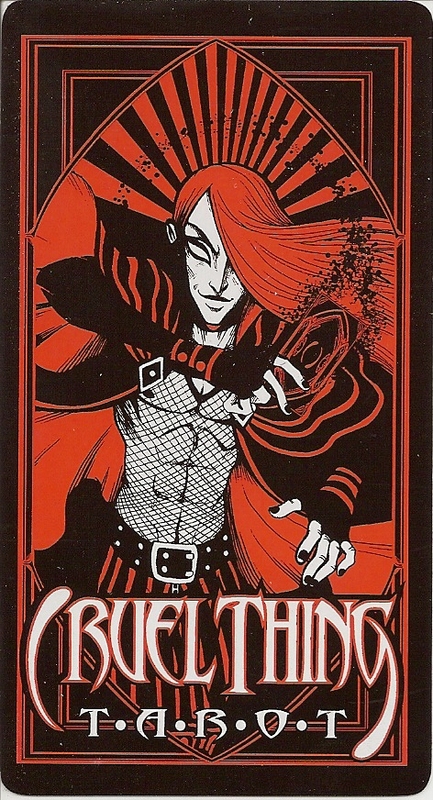 Cruel Thing is an illustrated novel popular in Spain and Latin America that also has become a hit in other European countries and increasingly in the U.S. as well. Comic book artist Luciano Vecchio combines anime and gothic influences. The Majors are characters and imagery from the comic series. 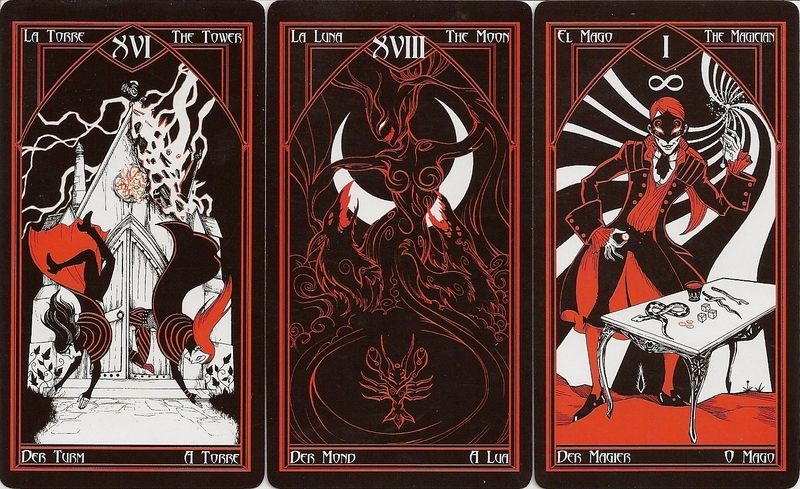 Like the comic series it is drawn with a strict three colour palette of black, white and red. It has titles in four different languages, the cards usually called page or knave are here, in their English translation, called Jacks, as used in playing card terminology. The knights are all male and the Jacks female apart from the suit of Wands in which the genders of these two cards are reversed. The pip cards are not illustrated.